Volvo Penta has kicked its engine technology into a higher gear. 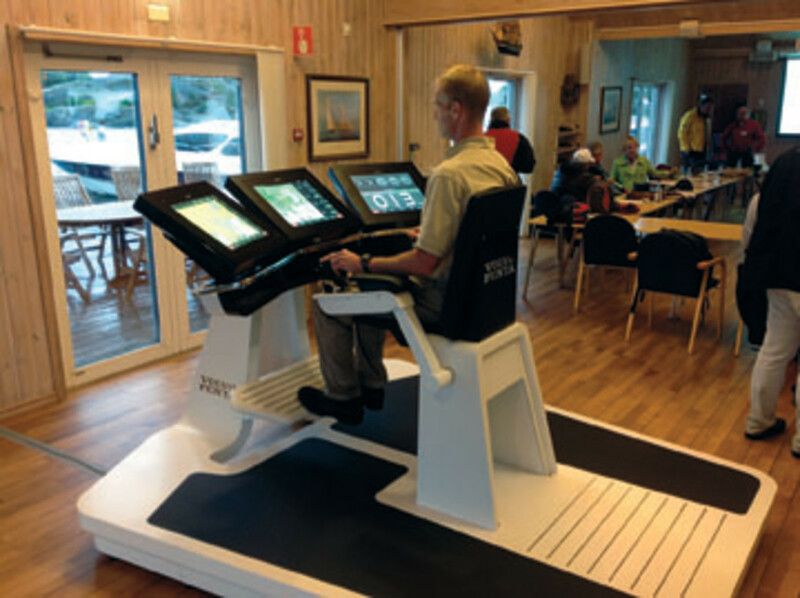 Since its introduction in 2005, the IPS pod drive system with joystick control has been making boating easier for consumers, especially maneuvering big boats in close quarters at low speeds. To that end, at the global press event I attended in Sweden in late June, the engine manufacturer introduced an automatic trim tab system and high-speed joystick steering in a new integrated electronic network called the “Glass Cockpit.” Volvo Penta marries the components and technology to its new more powerful and quieter diesel engine with IPS pod drives. Volvo Penta Global also rolled out a new gasoline sterndrive engine: the V8-430. I was one of 45 marine journalists from 14 countries who attended the three-day event, where we had a chance to try the new products in six boats from 25 to 55 feet at the Volvo Penta test center in Krossholmen. Before the testing, company executives made presentations about the engines and systems. The Glass Cockpit does away with the need for traditional gauges at the helm. It collects all navigation and systems information and delivers it on one or multiple displays from 8 to 19 inches. Volvo Penta teamed with Garmin on this product and the technology. 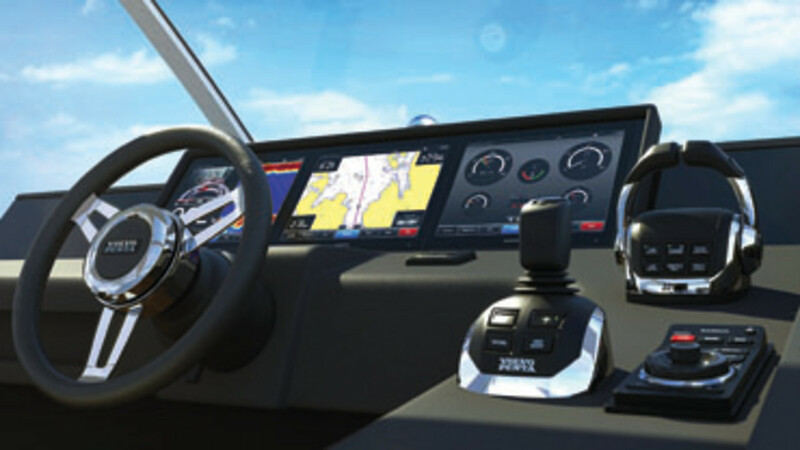 Garmin’s new 8000 Series and its Smart Mode anchor the Glass Cockpit network, allowing the user to customize functions and views on the displays. Users can predefine views for different modes to customize their needs, says Fredrik Celander, Glass Cockpit chief product manager. In addition to GPS, radar and sounder data, the Glass Cockpit includes a new automatic trim tab mechanism called the Interceptor System, which uses vertically mounted trim tab plates on the transom to generate lift and drag so the skipper can control the boat’s attitude in all directions and at virtually all speeds, according to Volvo Penta Global sales engineer Jon Wingren. 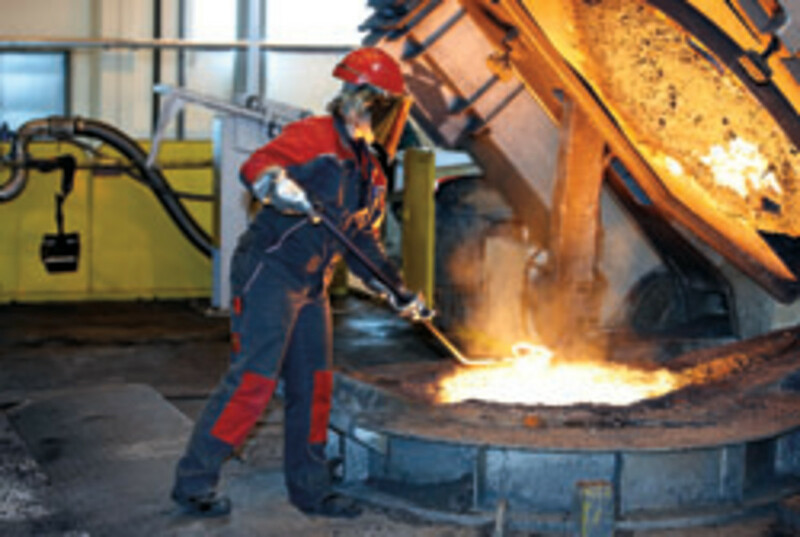 The lower portion of the blade extends and retracts automatically — together or independently — to change attitude. The boat’s speed triggers bow adjustments, and side-to-side adjustments depend on steering wheel rotation, Wingren says. The result: better balance and visibility for the driver and crew. In high-speed turns, the boat’s bow height is adjusted concurrently with its heel angle. (There is a manual override.) The adjustments to trim angle and list/heel also result in more efficient running angles for better mileage, Wingren points out. “The Volvo Penta Interceptor System has a compact design,” says Kull. “This increases the boatbuilders’ freedom when designing a boat with the IS. The absence of a trim cylinder or other external hardware reduces service costs and extends the life of the system.” The system’s composite blades will not attract electrical current, so protective anodes aren’t needed, she adds. The Interceptor System is intended for boats 40 feet and bigger, and it works with IPS (as well as DPH Duoprop with electronic steering and inboard applications) and Volvo Penta’s Joystick Driving, which enables steering with the stick at high speeds. Joystick Driving was introduced last year but will be marketed more aggressively this year as part of the Glass Cockpit, according to the company. Its primary purpose is to allow the skipper to comfortably pilot the boat on long cruises in conjunction with the autopilot. The product introductions included new or modified engines. A more powerful D11 inline 6-cylinder diesel will now power the IPS drive system. The package is a good fit for boats from 40 to 60 feet, especially flybridge yachts and convertibles from 45 to 55 feet, says D11 chief project manager Thomas Lantz. Horsepower has increased from 670 to 725. The engine also will be offered in a 625-hp version. An improved turbo and air filter generate the additional horsepower, a new air filter noise cap reduces engine noise levels by 2 decibels, and an upgraded cylinder head improves cooling, according to Lantz. Two new drive packages — IPS800 and IPS950 — will be linked to the D11, resulting in a more powerful and responsive system, according to Volvo Penta. The IPS800 and IPS950 have a new gear ratio matched to the new engine’s higher rpm and propellers. This results in improved engine torque and better handling, acceleration, engine load “carrying ability” and joystick maneuverability, says Lantz. The gear ratio also broadens the speed range from 28 to 40 knots to 20 to 40 knots. The V8-430 gasoline sterndrive engine joins the two engines introduced last year — the V8-380 and V8-225. Volvo Penta builds the 430 around the same 6-liter block as the V8-380, but it has modified the engine for better air intake to boost power output. The V8-430 will power boats from 24 feet in single installations to about 40 feet in twin applications. “The extra horsepower is very useful for customers who bring a lot of stuff on a boat,” says Kull. Volvo Penta says the engine gets about 20 percent better fuel mileage than its competitor, the 430-hp MerCruiser 8.2 MAG HO (in an identical boat comparison) and weighs less, Kull says. “That’s going to let the boat get up on plane faster, let you accelerate faster and give you better fuel efficiency,” she says. The V8-430’s listed weight is 867 pounds; the MerCruiser’s listed weight is 1,122 pounds. Volvo Penta has paired the engine with a DPS (Duoprop sterndrive) made with stronger steel, the company says. The drive’s new gear ratios cover a speed range of 35 to 67 knots. A Chris-Craft Corsair 25 was the only boat at the event powered with the V8-430. A single pushed it to a top speed of 50 knots, and it accelerated from zero to 30 knots in 7.2 seconds. The engine maker also introduced the V-350, a retuned V8-380 designed specifically to meet stringent Lake Constance/Bodensee emissions requirements. It’s not for sale in North America. The new engines and products will be introduced in the United States at the fall boat shows. 1907: Edvard Hubendick designs the single-cylinder, carbureted B1, the engine that begins the Swedish company’s history. 1922: After changing its name to Pentaverken in 1919, the company introduces its first outboard, the U2, a 2-cylinder 2-stroke (400 engines manufactured in the first year). 1925: Pentaverken gets its first order from AB Volvo, a new automobile company in Gothenburg, Sweden. Two years later, the first Volvo automobiles with 1.94-liter, 4-cylinder, 28-hp Penta engines are rolled out. 1956: AB Penta introduces the first marine diesel with charge air cooling. 1959: The world’s first sterndrive, the Aquamatic (designed by American Jim Wynne), is introduced at the New York Boat Show. More than 1,000 are sold in the first year in the United States. 1971: The Saildrive, a propulsion package that virtually eliminates vibration and noise, is introduced. 1973: Volvo Penta acquires Monark-Crescent and resumes outboard manufacturing. 1974: Volvo Penta of the Americas is created, and a factory in Chesapeake, Va., is established to convert gasoline V-8 engines for marine use. 1982: Volvo Penta introduces the Duoprop, its twin counter-rotating propeller sterndrive. 1992: In Lexington, Tenn., a facility for gasoline engines and drives opens. 2002: Volvo Penta comes out with a four-bladed folding prop for sailboats. 2003: The cleaner, quieter and more powerful D4 and D6 diesels are introduced. Electronic Vessel Control, a platform for linking engine, transmission, controls and instruments, is launched. 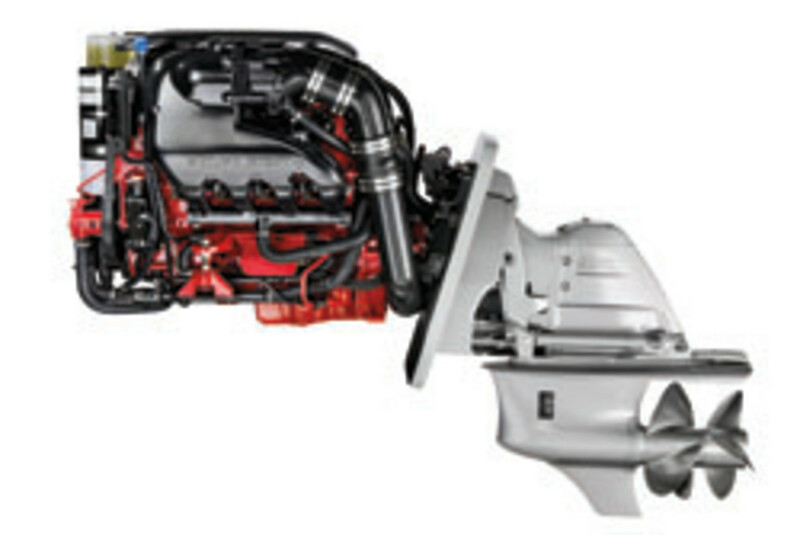 The compact 130-hp D3, the marine version of the Volvo auto engine, is introduced. 2005: The Inboard Performance System debuts, featuring independently articulating pod drives with forward-facing props. 2006: Volvo Penta introduces the IPS joystick at the London Boat Show.